This forum includes IC Reports and is a means to keep you updated on the assignments/events happening in Heartwing. All reports submitted are also sent to Aerenstrasz, lieutenants and selected Covenant members. Back on Mithres Alymna we were called towards the Keep to begin with. Azrael was discussing a plan with Aerdran with which Aeren might be rescued. Helius stripped his emotions and humanity from his mind with the help of an artefact, leaving him as a primal beast destroying villages and wreaking havoc. Azrael found out that Helius was keeping that artefact on Nathreza, the homeworld of the Nathrazim. Also the farthest Legion world away from Azeroth, to note that. Eitherway, we were told that Aeren could’ve been saved but to get to Nathreza we’d have to create a portal at the top of Karazhan, where the tower of the last Guardian melts with the Twisted Nether. An Inquisitor was still ruling at the Legion-infested building even after it was cleared out by adventurers with the Legion’s attack, and also he held the Iris of Kil’jeaden, an artefact we needed to conjure up the Portal. So we ventured forth through a Deathportal, made up by Azraelstrasz. On the other side of the Deathportal, Deadwind Pass awaited us and Karazhan right before us. 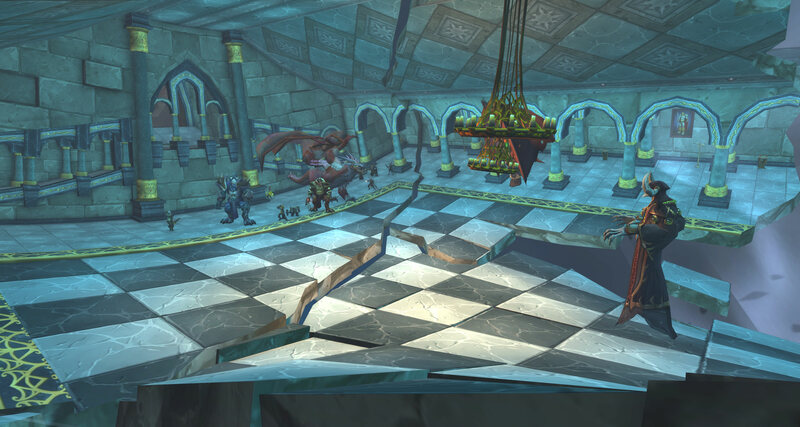 The fallen tower had two entrances but both were considered too dangerous by Aerdran, leading the infiltration group, because of the imminent Legion still within the tower. Instead, we jumped down a bunch of rocks and into a river trying to avoid the use of magic to not alert anyone. 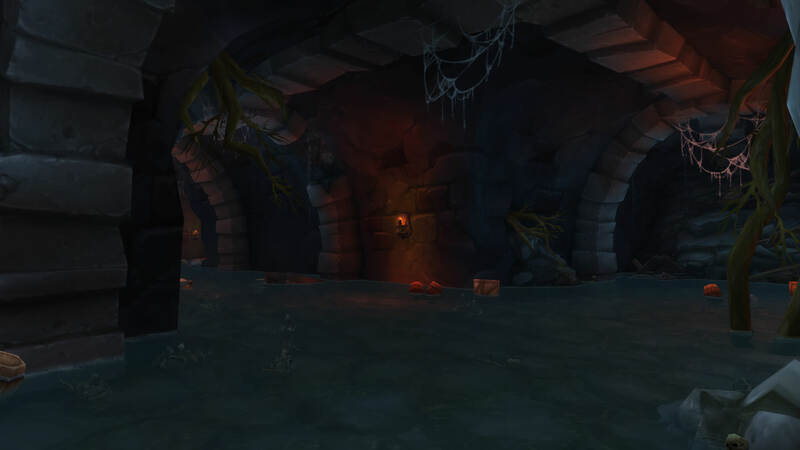 At the end of the small, dead river we found the Karazhan Catacombs, a place holding many.. relics and treasures (note to self: and dangerous traps.) Still! We went inside. Once gathered up and entering inside, we were guided by Arengos, a blue Dragon recruited by Nyth apparently some days ago to help in the mission to Karazhan. Finding ourselves on a huge and old staircase we managed our way down, only to find a barrier blocking our way forwards in the following room. After a lot of trying and trickery, we found a note towards a puzzle left by the Grand Mage Medivh to open the barrier. 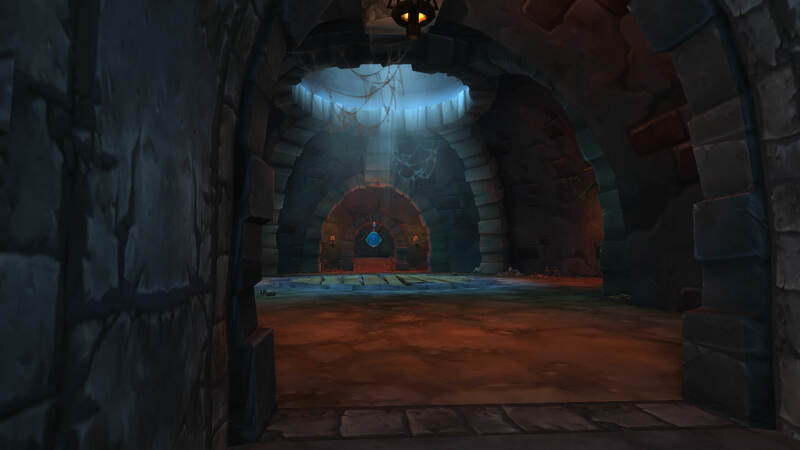 It took us a long while but in the end, the puzzle was figured out and we were able to continue or search for a way into Karazhan. We found many more siderooms with a lot of artefacts and relics stored inside, from all over the world. They were looking fascinating but I was dragged away too fast to get a closer and better look at them, sadly. (Note to self: Return to there at some point.) Eventually, we found a large hole with wooden planks above it. 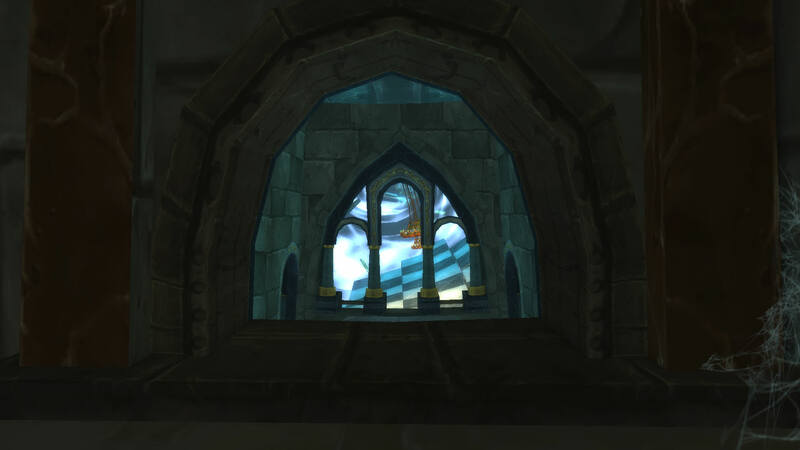 Ripping a little hole into it, we found a portal inside the actual Karazhan tower. Continueing our way up towards the peak of the tower Karazhan, we found a huge Fel Lord along with his nasty Fel Hound pets infront of our portal to advance further. 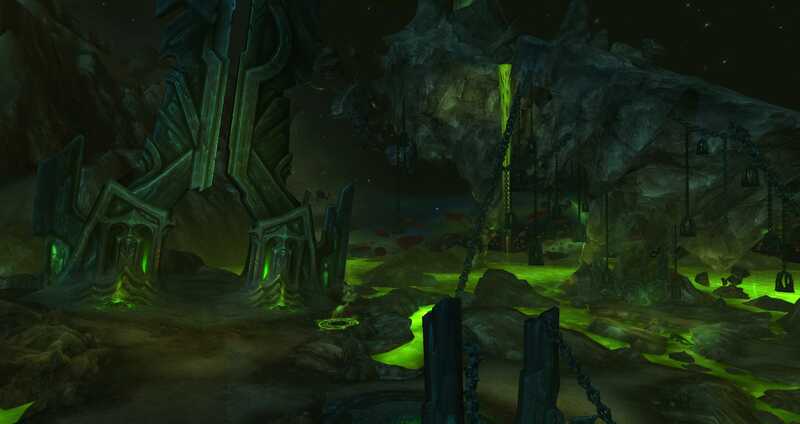 Behind him was a huge barrier and in a try to not fight the Fel Lord, we made up the plan that Vylia, Duru and Iska keep the demons busy while Aren, Hestia and I try to dispel the barrier. Empowering Arengos with both our magic failed hard so it was just Aren and Hestia attacking the barrier at the same time while I conjured up a barrier to block the way from which we came to stop any demons falling into our back. 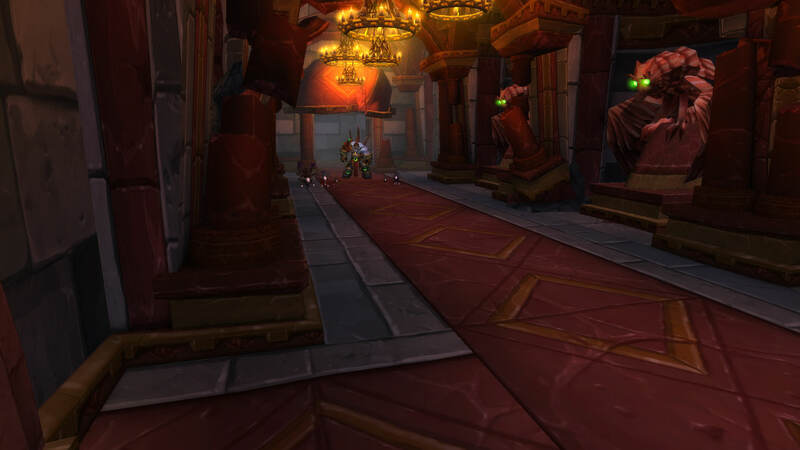 This plan however worked and we were able to bring the barrier down, causing us to rush and teleport behind the Fel Lord and all teleported forth, leaving us in a further up.. twisted place in Karazhan. Participants: Aerdran, Azrael, Dalmion, Durustrasz, Elisera, Hestia, Iska, Kurok, Miaku, Nyth'esera, Shendormu, Tesros, Thostus & Vylianormi. Our objective was clear. We were to locate the Iris of Kil'jaeden from the dead cold grip of an Inquisitor, we were then to create a gateway from the spire of Karazhan to the shattered nathrezim homeworld of Nathreza. Iskarastrasza launched herself at a doomguard, causing the both of them to be hurled into another space and continuum, where time worked different than in ours. 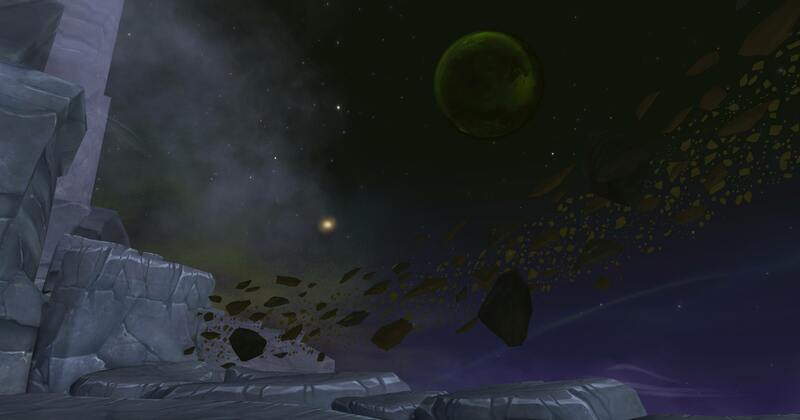 The unstable space had an unexpected side effect however, it tore away at the very existence of Iska, causing her to fight against both a doomguard and time itself. Back at the chesshall, we fought against an Inquisitor that was able to counter most of our spellwork. Miaku had the idea to silence and counter his spellwork, so we others could launch our attacks at him. This in return weighed heavily on Miaku, who was seriously injured following the encounter. 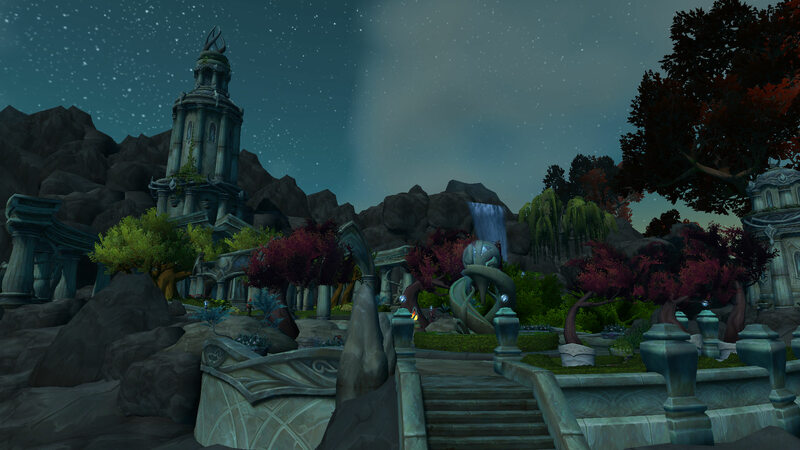 We dismantled the Inquisitor and his underlings, in before Nyth'esera granted the summoning stone by Azrael, summoned Azrael by crushing it and together we journeyed to the top of the Karazhan Spire. With Azrael summoned and the Iris in our hands, we continued to the top of Medivh's twisted spire. 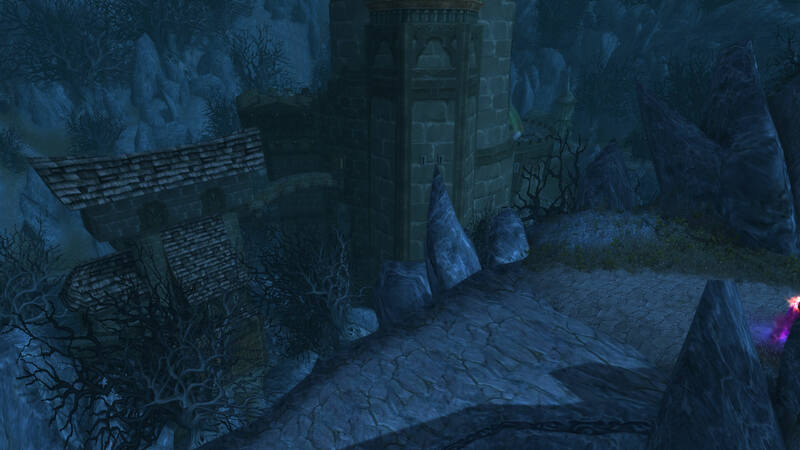 Atop, we found a deceased Viz'aduum the Watcher, an observer likely killed by people who were before us. Azrael set into motion with the artifact Iris to create a gateway to Nathreza, while commanding the others to prepare themselves. The demons would not take this attempt at invading one of their worlds lightly. One of past adversaries returned from his death; Spitethrash. The Bronze Dragons might recognize him, for he was the one who trashed our archive and burnt untold amount of knowledge. He was discarded in an effort by Iska and Hestia, by pushing him over the ledge. Several wrathguards warped in around us. Inflicting serious injuries on everyone. Azrael finished his ritual, as the Iris was initializing itself, he aided us by summoning death portals around us, summoning in his undead to reinforce our dwindling strength. His efforts were somewhat prevented, as members of Heartwing could not recognize the Undead from ally to foe. Nyth'esera and Thostus defeated few of his minions, and Thostus depleted one of his death portals. As we started to push back at the very demons, more were summoned in along with a Overfiend who were made completely out of fel fire. To our dismay, it didn't end there. My father arrived at the top, his jailer's last attempt to stop us from reaching Nathreza. My father, Aerenstrasz filled the entire platform with the flames of the Red Dragonflight. Some of us, the red ones weren't harmed. But a lot of the others were gravely injured. Azrael launched himself into the air and shifted into his wyrm-shape, as he distracted Aerenstrasz by depleting his own health, refusing to fight his own brother. He kept Aeren's gaze away from the group, while the last of the group finished the demons, and the portal to Nathreza opened up. Azrael stayed behind, focused on keeping his brother at bay. The others traveled beyond cosmos, to the far reaches of the very Great Dark Beyond. Until we reached; Nathreza, homeworld of the Nathrezim. On Nathreza, we knew Azrael did not have much time before Aeren would rip him to shreds. We were focused on avoiding as much enemy contact as possible to fasten our venture to the shattered world. We shifted into our mortal forms, before we attempted to reach our destination, which was a barracks near the center. A garguantuan doomlord found us unfortunately and threw massive boulders at our group. Many of us were more gravely injured than ever.. I am still recovering myself. He did take a lot out of me. We fled from the doomlord and reached the center, in which we saw an image of someone I presume was Lord Tichondrius. We threw an invisiblity spell around ourselves and made our way to the keystone that held the prison to my father's primal state. We were thwarted in our efforts to do it quickly and without more injuries. Glaciagos, the Father of Elysigosa. Now turned to Helius, found us and dispelled our cloak. He taunted for our efforts, but after fighting with him and his two accomplishes. Hestia destroyed the keystone chain with one of his servants' fel axes. Set on now to flee the nathrezim homeworld, Glaciagos unleashed his full arsenal of minions on us in a hunt to stop us from reaching Azeroth. We barely made it. But we made it. Back on Azeroth, Azrael gravely injured as well now stood over the unconcious body of my father. We had saved him, we had saved the rightful leader of Heartwing. This is our complete recover from the Broken Shore. We are whole again. We journeyed back to Mithres Alymna to tend our wounds. This was one of the most dangerous missions since the Broken Shore. With this. I am retiring my position as the Leader of Heartwing. I am giving it back to my father, where it belongs.